For other conflicts that are similarly known, see Battle of St. Quentin. 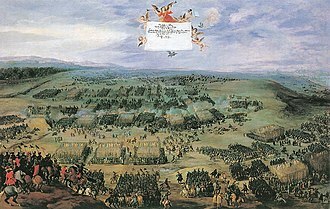 The battle took place on the Feast Day of St. Lawrence 10 August. 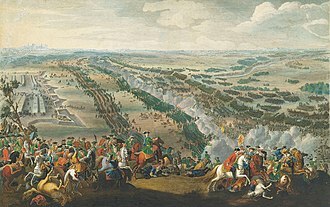 The French forces under Constable Anne de Montmorency were overwhelmed, and Montmorency was captured by the forces under the command of the Philibert of Savoy and the Count of Egmont, in an alliance with English troops. 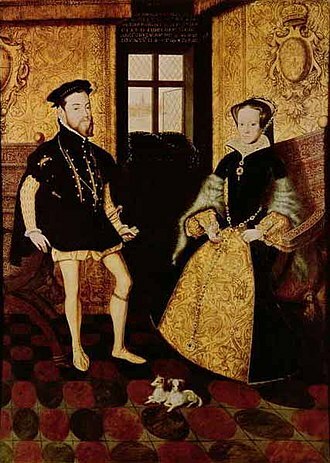 England had entered the war at the behest of Phillip II, who married Mary I of England in 1554. 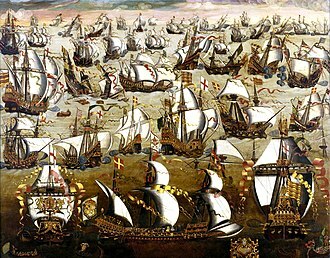 England declared war on France, 7 June 1557. The French were defeated. During the fighting the Saint-Quentin collegiate church was badly damaged by fire. 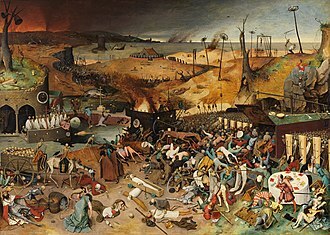 After the victory over the French at St. Quentin, "the sight of the battlefield gave Philip a permanent distaste for war"; he declined to pursue his advantage, withdrawing to the Spanish Netherlands to the north, where he had been the Governor since 1555. The Treaty of Cateau-Cambresis ended the war two years later. 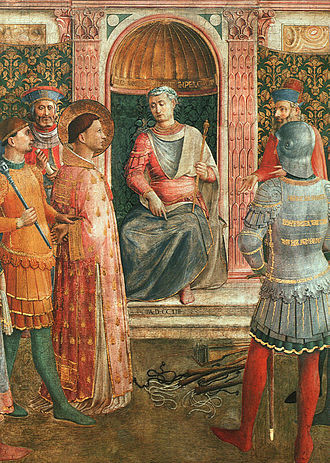 Being of a grave religious bent, Philip II was aware that 10 August is the Feast of St Lawrence, a Roman deacon who was roasted on a gridiron for his Christian beliefs. 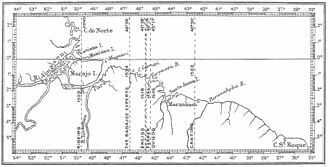 Hence, in commemoration of the great victory on St Lawrence’s Day, Philip sent orders to Spain that a great palace in the shape of a gridiron should be built in the Guadarrama Mountains northwest of Madrid. 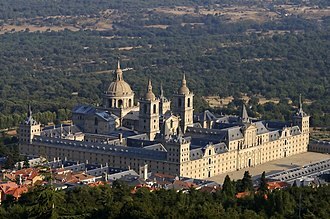 Known as El Escorial, it was finally completed in 1584. 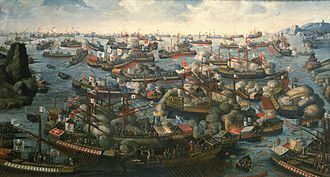 The greatest impact of this battle was not on France, England or Spain, but on Italy. Duke Emmanuel Philibert of Savoy, having won the victory, had also secured a place at the conference table when the terms of peace were deliberated, resulting in the Treaty of Cateau-Cambresis. 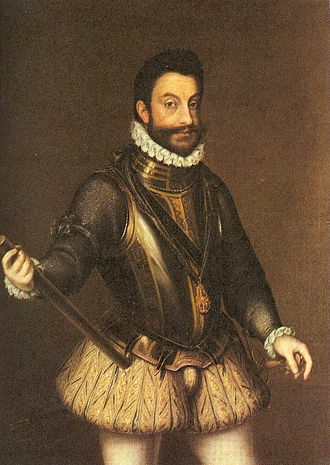 The duke was able to secure the independence of the Duchy of Savoy, which had been occupied by the French a generation earlier. As part of the peace terms, Emmanuel Philibert married Marguerite d’Angoulême, younger sister of King Henry II of France, in 1559. The Duke of Savoy moved his capital across the Alps to Turin two years later, making Savoy an Italian state and refounding the dynasty of the House of Savoy, which would become the royal house of a united Italy in 1860. ^ a b c Bonner 1992, p. 35. ^ a b Nolan 2006, p. 756. ^ a b Tucker 2010, p. 518. ^ Whitelock, Anna. (2009). 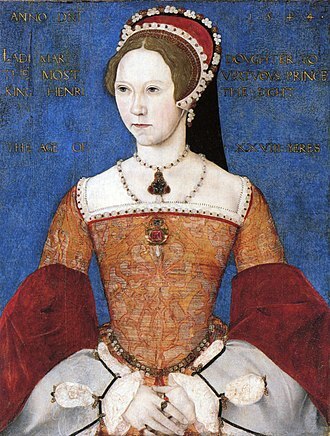 Mary Tudor : England's first queen. London: Bloomsbury. p. 237. ISBN 9780747590187. OCLC 310156296. ^ a b Leathes 1907, p. 92. Tucker, Spencer C., ed. (2010). 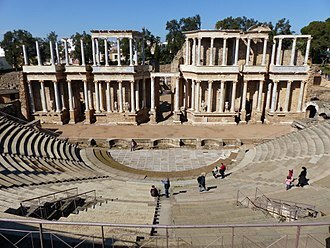 A Global Chronology of Conflict: From the Ancient World to the Modern Middle East. II. ABC-CLIO. Leathes, Stanley (1907). 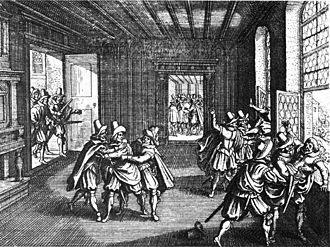 "Habsburg and Valois". In Ward, Adolphus William. The Cambridge Modern History. 10. Cambridge University Press. Bonner, E.A. (1992). "Continuing the 'Auld Alliance' in the Sixteenth Century". In Simpson, Grant G. The Scottish Soldier Abroad, 1247-1967. Rowman & Littlefield. Parker, Geoffrey (1989). 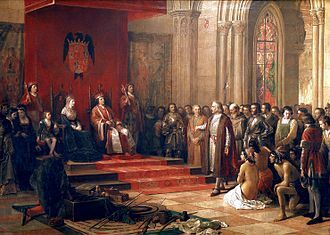 España y la rebelión de Flandes. Nerea. Nolan, Cathal J. (2006). 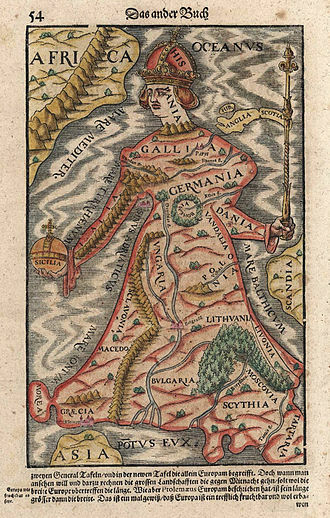 The Age of Wars of Religion, 1000-1650: An Encyclopedia of Global Warfare and Civilization. 2. Greenwood Publishing Group. Anne, Duke of Montmorency, Honorary Knight of the Garter was a French soldier and diplomat. 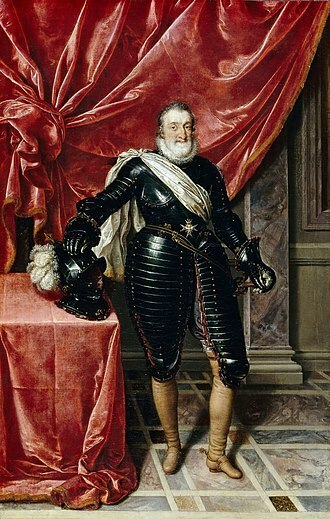 He became Marshal of France and Constable of France, Montmorency was born at Chantilly to the ancient Montmorency family. 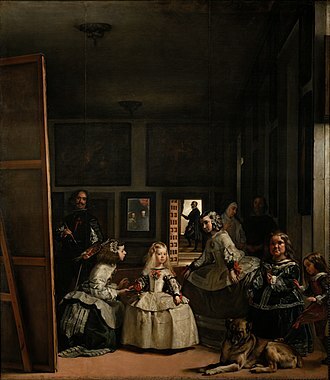 His father, had a status in the household of Francis. 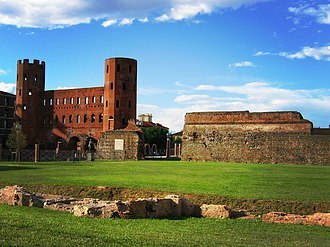 He was raised beside Francis and they close, fighting together in 1512 at the Battle of Ravenna. 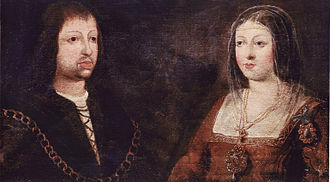 In 1514 his sister Louise de Montmorency married Gaspard I de Coligny and their children included Gaspard II de Coligny who was Admiral of France, cardinal de Châtillon and François. 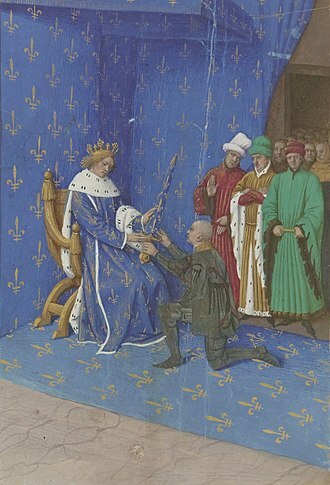 Gaspard II had a daughter Louise who married William the Silent, when Francis acceded to the throne in January 1515, Montmorency became an influential member of his court. When the king reasserted the French claim to Milan the same year, Montmorency followed his king into Italy, Montmorency was named captain of the Bastille in 1516 and became governor of Novara. 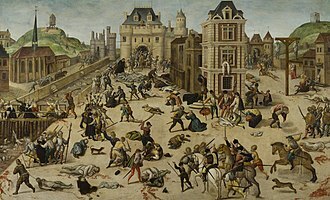 In 1518 he was one of the hostages in England for Francis Is debt to Henry VIII for the city of Tournai and he returned to France to attend a short and unsuccessful peace conference between the French and the Holy Roman Empire in May 1519. 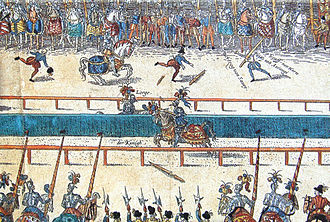 The following year he was present at the Field of the Cloth of Gold, in August 1521, Montmorency helped to command the defence of Mézières against the Imperial German army. In the same year he commanded the Swiss in Italy and his troops were defeated in the Battle of La Bicocca on 27 April 1522, but he was made Marshal of France in recognition of his courage. 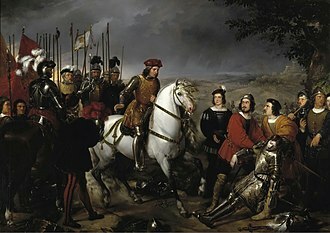 Montmorency spent the three years defending northern France against the English invasion of 1523. By that time England had allied with the Holy Roman Empire, in 1524 he again joined Francis I in a campaign to retake Milan. On 24 February 1525, an army of Italians and Germans defeated the French at the Battle of Pavia, both were sent to Spain but Montmorency was released soon afterwards. 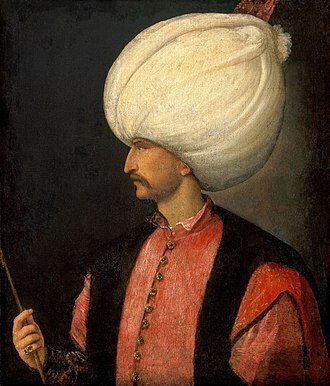 He was one of the negotiators of the Treaty of Madrid in 1526, in 1530 he returned the kings sons to France. 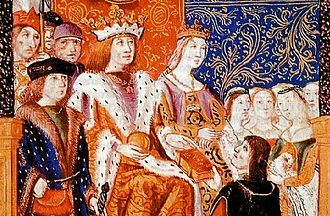 On 23 March 1526, Anne de Montmorency was named Grand Master of France charged with supervision of the royal household, in 1527 he married Madeleine, the daughter of René of Savoy. Julián Romero and his patron saint. Painting by El Greco.